iStudiez Pro Blog • iStudiez Pro for iOS & watchOS. Beta Testers are welcomed! 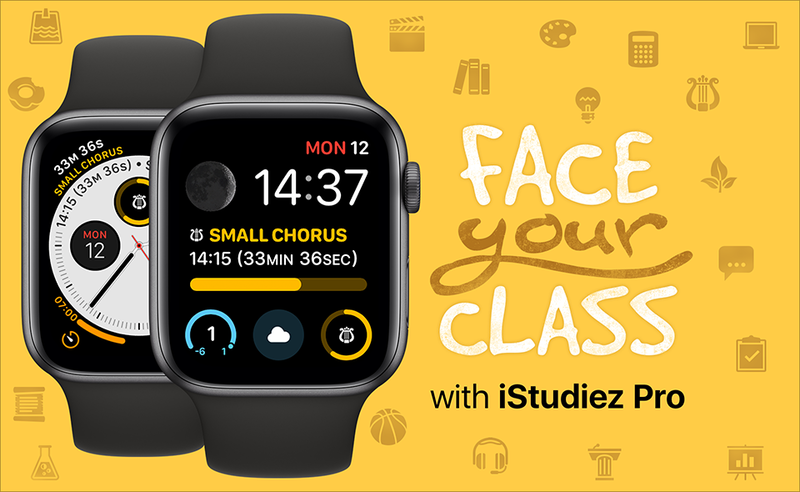 iStudiez Pro for iOS & watchOS. Beta Testers are welcomed! Do you enjoy your new Apple Watch Series 4? Curious to try how handy iStudiez Pro is there? We have released the new beta version of iStudiez Pro for iOS and watchOS recently and everyone can join the team of beta testers! Would you like to try it? Follow this link then! For most, we’d like you to pay attention to 1) how the app looks & works on new complications for Infograph and Infograph Modular watch faces on Apple Watch Series 4, and 2) if it works OK on new Apple devices, such as iPad Pro, iPhone XR, iPhone XS Max. Yes, we are aware of the issue that you can be logged out from the Cloud Sync session while running the Beta. So please go ahead, try and tell us what you think!